Home of Audi in the very heart of Bavaria, Ingolstadt was more an ice hockey town than a football one – until 2015. 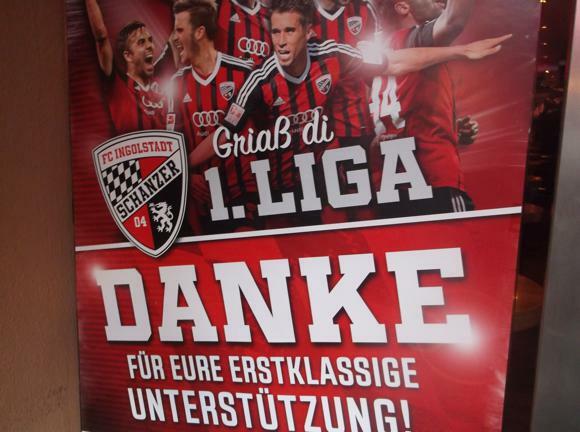 FC Ingolstadt 04 – the number a reference to the year, 2004, when the club was created from the merger of two long-established, low-standing ones – entered the Bundesliga in 2015-16 after five years in the Zweite. Perhaps even more surprisingly, Die Schanzer stayed up, achieving a comfortable mid-table position above local rivals Augsburg. Like Augsburg, Ingolstadt has only seen such success in recent seasons. Like Augsburg, Ingolstadt has a century-long tradition in football, but it’s a history of smaller local teams pootling along at, mainly, regional level, until a merger galvanised one single club. In the case of Ingolstadt, this was ESV (‘Eisenbahner Sport Verein’), a joint sports association attached to the railways, and MTV (‘Männer-Turn-Verein’), dedicated to gymnastics until 1924. ESV were a post-war construct. Before then, there were half-a-dozen smaller sports clubs, most notably FC Victoria and VfR, who created VfB Ingolstadt-Ringsee in 1925. In the early 1930s, VfB played at the highest regional level – when this also meant the highest national level, Germany not having a single Bundesliga. VfB Ingolstadt were not able to match the achievements of fellow Bavarians 1.FC Nürnberg and Greuther Fürth, who managed to reach the regional play-offs then become German champions. The Nazi reorganisation of sport did VfB few favours and during the war they merged with MTV to form KSG Ingolstadt. Pre-1933, MTV had trailed behind VfB. After the war, Nazi-founded clubs such as KSG were disbanded by the Allies. MTV were reformed, VfB as VfL, and the clubs became rivals in the Bavarian League, the second tier of Germany’s post-war game. VfL then became ESV, based at the same stadium behind the train station as VfB before the war. MTV played at Kreuztor, just west of the city centre. As part of the 1972 Munich Olympics, the ESV-Stadion hosted four matches, one featuring eventual winners Poland, Kazimierz Deyna and all, another a hat-trick by later East German hero Jürgen Sparwasser. Two games featured the USA and defender Casey Bahr, son of Walter, the last surviving member of the American side that beat England 1-0 at the 1950 World Cup. Later in the 1970s, ESV and MTV rose from the lower divisions for a two-season stint in the second-tier 2.Bundesliga, then divided north and south, overlapping for one season in 1979-80. Before the arrival of FC Ingolstadt 04, this was the high point of the game in Bavaria’s fourth-biggest city – somewhat modest when compared to Augsburg or Nuremberg. After relegation, each struggled on for 20 years or so in the same local and amateur leagues as before until a merger became the inevitable solution. It came in 2004. Based at ESV’s renamed Tuja-Stadion, the new club took MTV’s place in the fourth-flight Bavarian Oberliga. 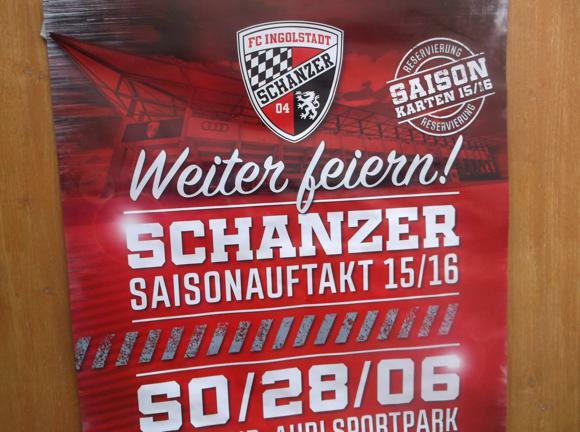 FC Ingolstadt’s second team assumed ESV’s slot further down in the sixth tier. 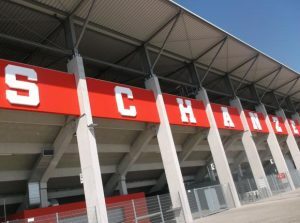 When 4,000 came to Ingolstadt’s inaugural game, a friendly against Borussia Mönchengladbach in July 2004, it was clear that the city was hungry for football. The ESV-Stadion was renovated in 2008 then usurped by the new Audi Sportpark, south of the Danube and way south-west of the city centre, in 2010. 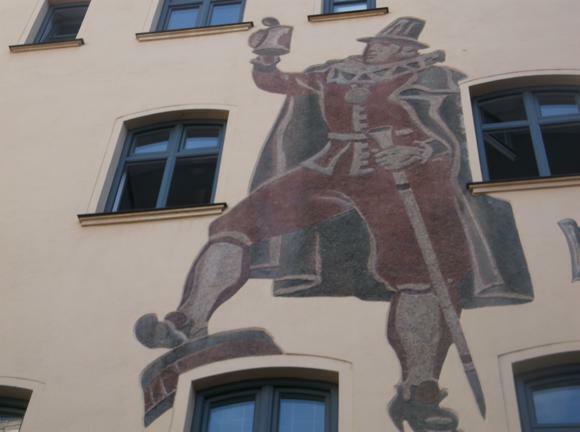 That was just when Ingolstadt had risen to the Zweite, matching the achievement of their forebears, ESV and MTV, back in the late 1970s – then going on to the Bundesliga five years later. Senior football at ESV finished in 2004. As for MTV, they also ran junior teams until reforming the senior one in 2009. MTV rose to the ninth-tier Danube/Isar local league in 2015 – just as FC Ingolstadt 04 were looking forward to a first season in the Bundesliga. The nearest airport to Ingolstadt is Munich 72km (45 miles) away. Ingolstadt bus company INVG runs the X109 Airport Express every hour from Terminal 2 E 03, calling at Terminal 1 Bereich A/B and Munich Airport Center, before heading to Ingolstadt’s second station, Nordbahnhof, and the town’s central bus hub of ZOB, Bussteig 20. Journey time is 1hr, single tickets €23 (€22 in advance), return €36 (€31). A single journey on a local bus to/from the Airport Express stop comes included. Alternatively, from Munich airport, take S-Bahn lines S1 or S8 to the main station (Hauptbahnhof) about 40-45mins away. Tickets are €10 single. The hourly ICE train from Munich Hauptbahnhof to Ingolstadt takes 35-40min – online tickets €19. There are regional services too, but they take an hour and cost almost the same. If you’re flying into Nuremberg, then the high-speed line from Nürnberg Hauptbahnhof to Ingolstadt is 30min, online tickets also €19. Ingolstadt main station is quite a way south of the city centre across the Danube, a 15-20min walk or a 10min bus journey. Diagonally right as you exit the station is a concourse of bus stops – services going to town/ZOB leave from Busstieg 2 every 7-15min, including the Nos.10, 11, 16, 18 and 44. From a machine, it’s €2.20, on board €2.40, day ticket (Tagekarte) €4.40/€4.80. The stadium, way too far to walk, is within that central tariff Zone 100. 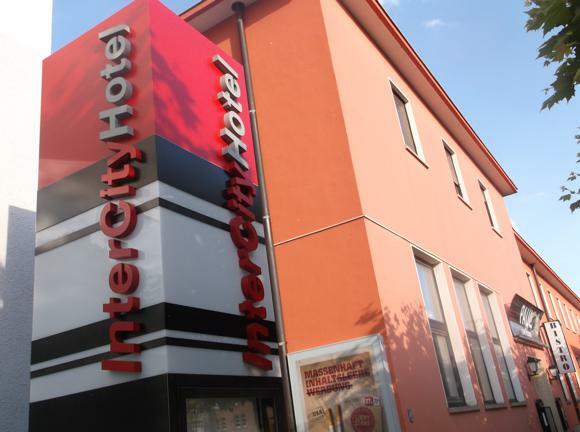 Note that some hotels, such as the InterCity by the station, offer free local transport for the length of your stay. 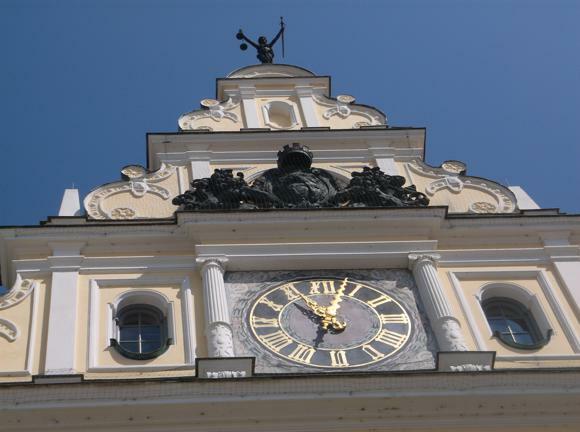 Taxi-IN is a local co-operative of cabs, including Taxi Walter (+49 176 22 70 87 61). Ingolstadt Tourismus has an accommodation database and booking search. There are no hotels near the stadium. In town, accommodation tends to be of the traditional guest-house type rather than chain hotel. 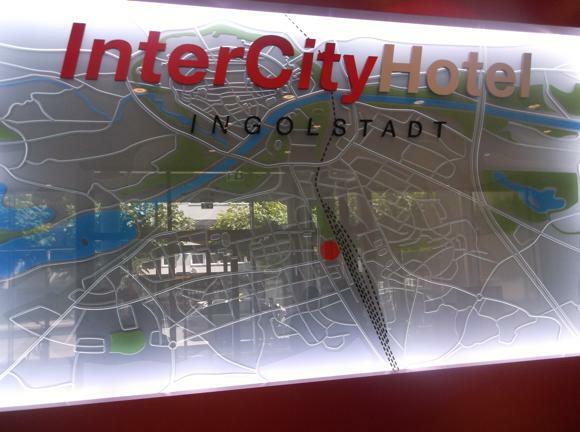 The exception is the InterCityHotel Ingolstadt, right beside the main station, a clean, functional and business-like lodging that occasionally offers ‘Fanrates’ of 20% on match days. It also provides free city transport, and has a bar and restaurant. 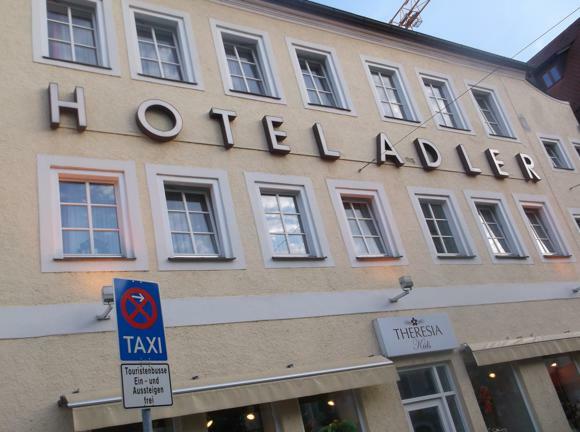 The location is convenient unless you’re carousing late in Ingolstadt – then you’ll need a taxi back. The most prominent place in town is the Adler, now a three-star but with 500 years of history as a local inn and later hotel. Kaiser Wilhelm stayed here in 1872 when he was still prince. Rooms are comfortable though not contemporary – for the price, though, considering it has a sauna, steam room, jacuzzi and gym, it’s a steal. 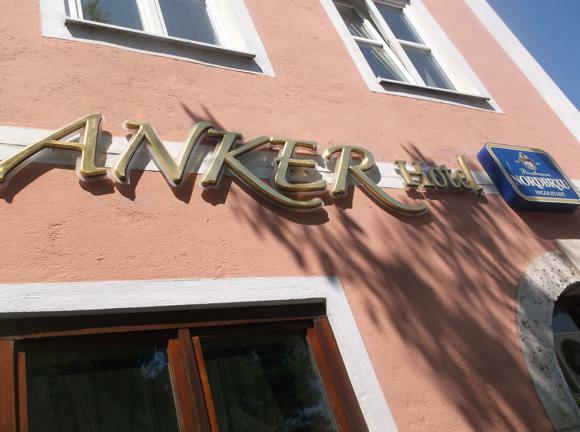 Towards the Danube stands another traditional lodging, the Hotel zum Anker, with 39 tidy rooms, each with a flat-screen TV, and the restaurant downstairs operates in its own right. 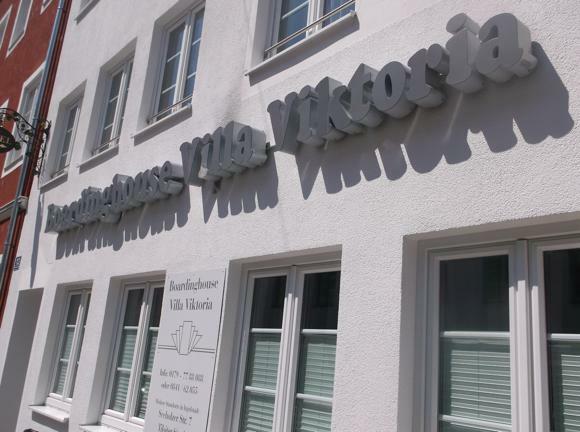 A few houses down, the Villa Viktoria is a ‘boardinghouse’, ie its two rooms are usually rented out long-term – but not exclusively. 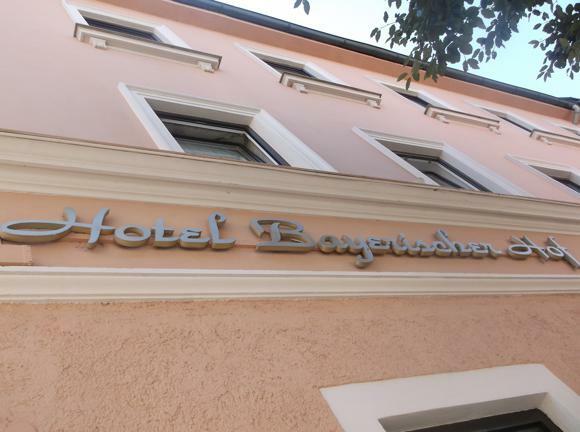 The family-run Hotel Bayerischer Hof has the look of a historic lodging but only dates back 40 years. It’s still a handy find, a comfortable three-star with an adjoining ‘boardinghouse’ added in 2010. Guests have free use of a nearby swimming pool during the day. The most unusual hotel in town, and most recent to open, in 2015, is the Classic Oldtimer, the Oldtimers being the bright, Bond-era sports cars you’ll see on display through the bar. The 128 rooms are relentlessly contemporary, though, and there’s a SKY Sportsbar too. It’s right behind the Saturn Arena ice-hockey stadium. Alongside stands the somewhat more business-like Enso, named after a symbol of Buddhist enlightenment but it’s really just a standard hotel with funky furnishings, a personal trainer on hand and €100-plus rates. 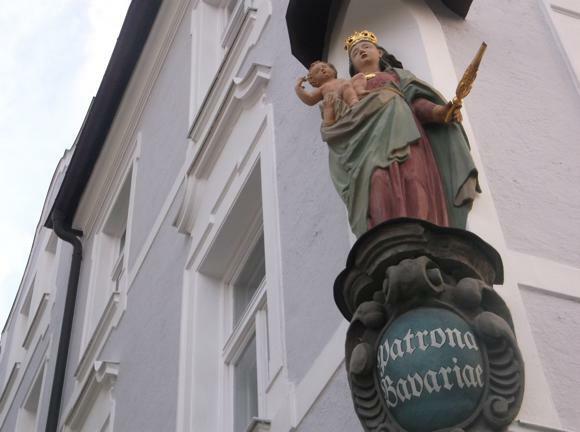 Every single German beer owes its taste and clarity to the Rheinheitsgebot, the Purity Laws, of 1516 – signed right here in Ingolstadt. April 2016 saw liquid celebrations to mark its 500 years. 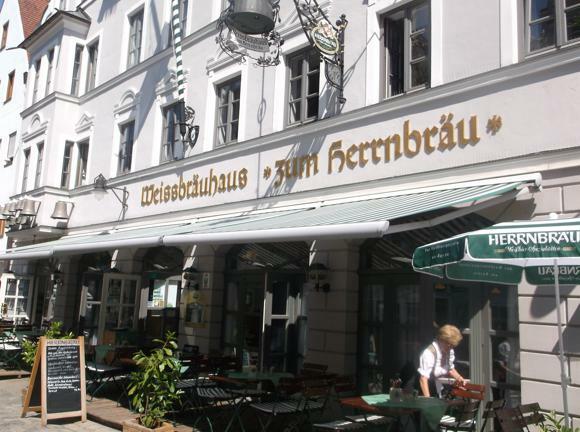 Downtown Dollstraße is lined with terrace cafés, bars and restaurants, traditional Weissbräuhaus zum Herrnbräu is typical of the genre and the main outlet for local brew Herrnbräu. 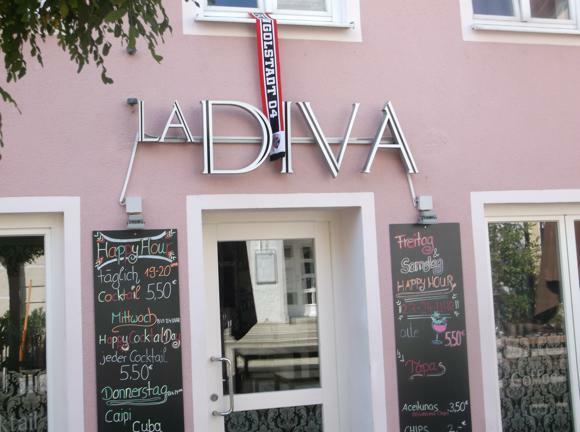 Across the street, La Diva is more contemporary and shows football. Round the corner, Theresientraße/Kreuzstraße has a more bar-strip feel. 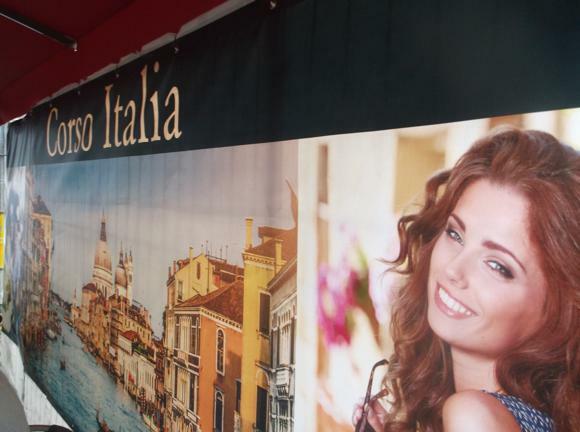 Corso Italia feels slightly upscale but is firmly Ferrari-focused but flies the flag for FC Ingolstadt and shows games. 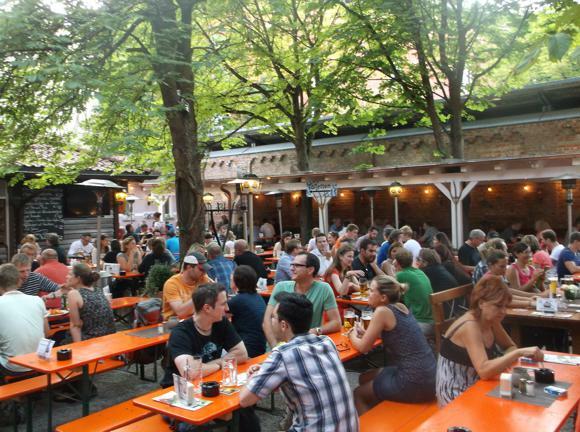 Further down, Zum Engelwirt is a real drinking den, where regulars get communally stotious, spin a bit of table-football table, watch the game and tuck into grilled meats. 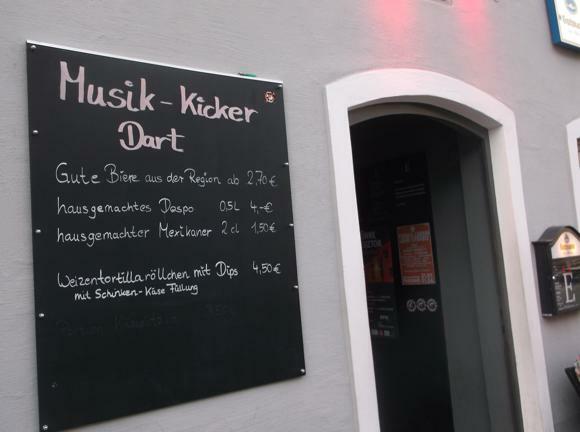 Not to be missed, just behind Kreuzstraße, Das Mö combines a classic bar with a busy beer garden, FC Ingolstadt games a main attraction in both, the big screens tuned to Bundesliga and European matches. 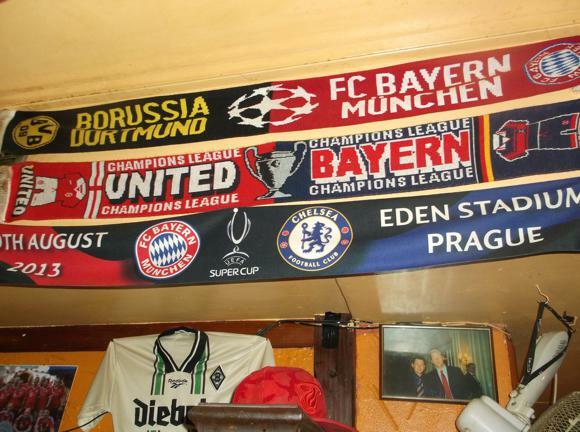 On the other side of Kreuzstraße on narrow Gerbergasse, Touch Down is as fine a football bar as you’ll find in Germany. 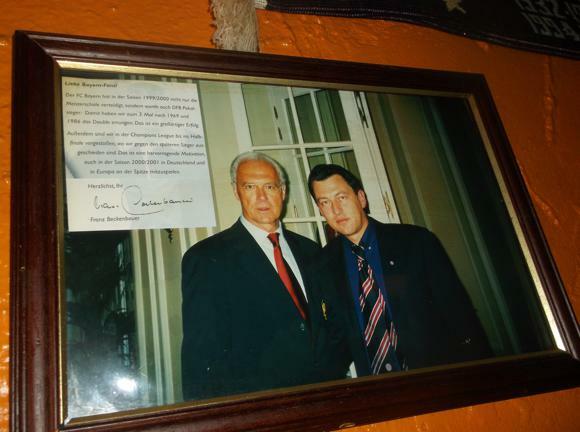 True, this football is not always of the round-ball variety, hence the name, but boss Alfred Auerbach is Bayern-mad, hence the photos of him with almost everyone who has ever donned the red shirt, starting with Beckenbauer and Müller. It has a real hard-drinking feel – ‘We’re always the last bar to close’, says barman Yo Yo –and regulars swear by it. 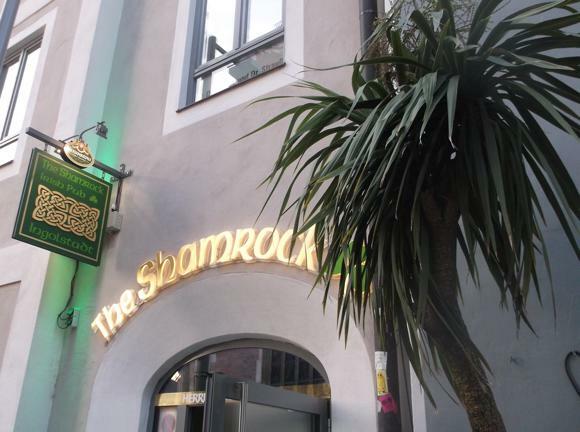 Back on Theresienstraße, The Shamrock has been in place since 1998, in a building that used to house the stables for the Herrnbräu brewery. 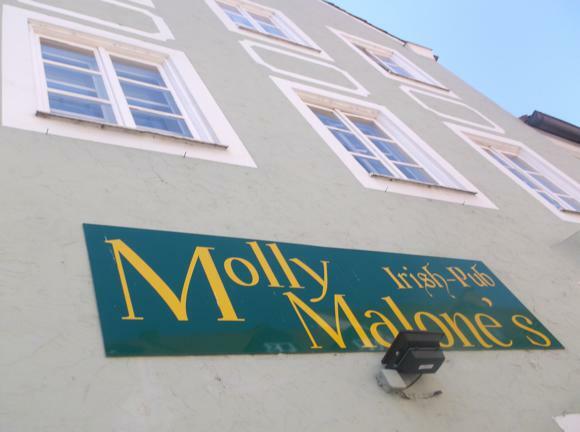 The other Irish bar in town is Molly Malone’s, close to the Danube, which goes big on live music. 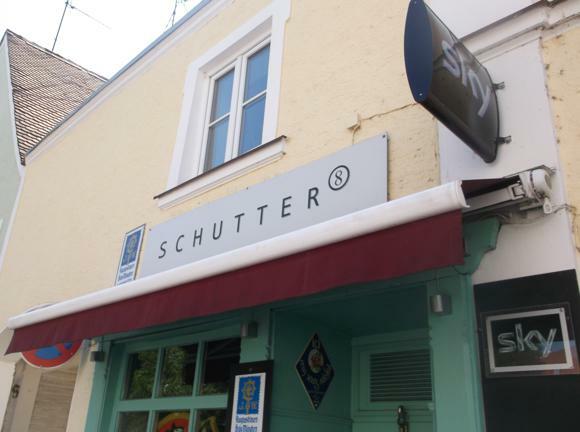 Nearby, on the street of the same name, Schutter is what Germans call a Kultkneipe, frequented by those in the know, here very happy to focus on live screenings of Bundesliga games.